Project freight for Ratch Australia Corporation’s $360 million Mount Emerald Wind Farm is starting to arrive in Cairns. 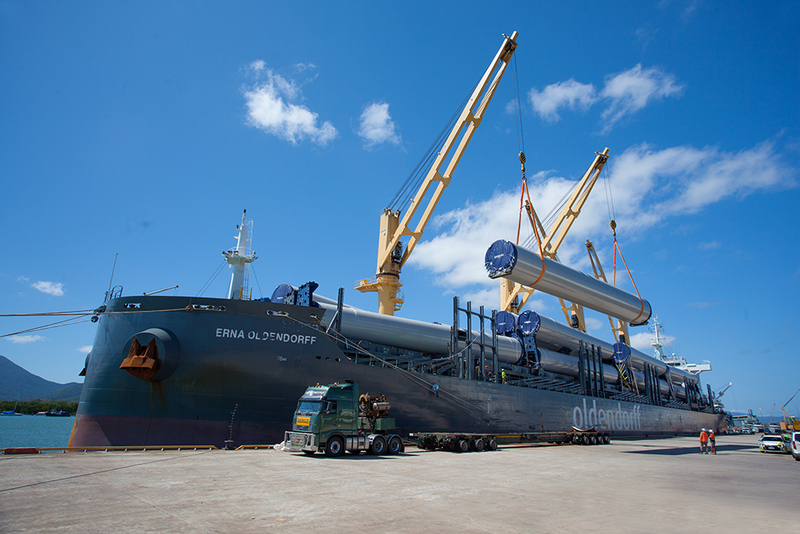 The vessel Erna Oldendorff arrived at the Port of Cairns this week carrying tower sections for the Atherton Tableland project. 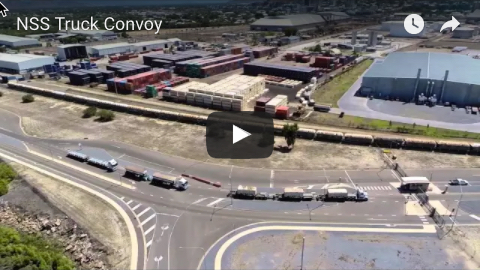 Treasurer Curtis Pitt said the components would be followed by many more, with an estimated 185,000 revenue tonnes of cargo to be delivered over the life of the project. “The second shipment of blades is scheduled to arrive on September 27," he said. 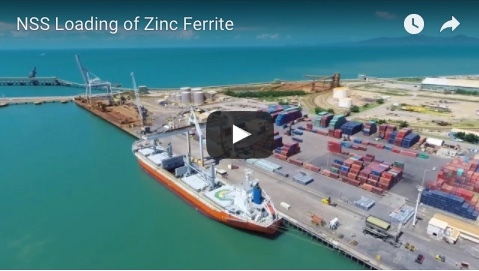 “With the potential for further wind farm projects on the Atherton Tablelands and near Lakelands, these first shipments will establish the Port of Cairns as the new project hub for the North. “The project will see the creation of around 150 jobs during the construction phase and represents a significant boost to our local economy, especially for the contractors, suppliers, transport and logistics companies involved." Ports North chair Russell Beer said a new laydown area at Tingira St, Portsmith had been purpose-built to accommodate the wind farm components in Cairns. Powerlink has commenced construction works to connect the 180MW Mt Emerald Wind Farm, near Mareeba, to its transmission network. As part of the construction works, Powerlink will build a dedicated 275kV substation to connect the wind farm to the network. Photo courtesy of Ports North. The vessel Erna Oldendorff arrived at the Port of Cairns today carrying tower sections for the Atherton Tableland project. Photos courtesy of Ports North.